Not picked up your copy yet? Find out what you can learn from my first small business advice book. I’m not here to inflate my own ego or toot my own horn, but my book I Can Start Your Business currently sits in the #1 spot on Amazon under the small business accounting and finance category; and in the top 40 for all small business advice books! There is a reason for this. 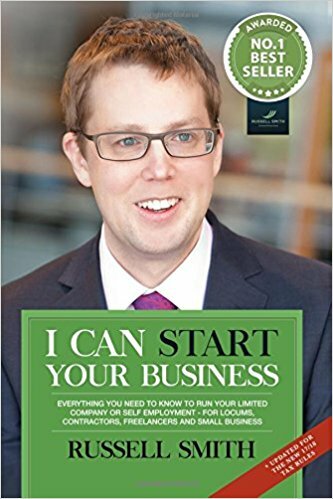 A comprehensive guide to starting up your business, my book provides simple yet valuable knowledge on how to start, run and manage a new business. But before you shell out for it or download the free Kindle copy, you’d probably like to learn more about exactly what it will teach you. As a sneak preview and a way showing this is a must-buy for small businesses, here are just a few things you’ll learn about from my small business advice book. First things first, we’ve got to get your business off the ground. They say it all starts with an idea, but where do you go from there? Establishing your business can be very simple, or it can be very complex; it all depends on what kind of business you are starting. Often, sole trader enterprises take only a small amount of time to set up. Registering for the right tax is your biggest concern. However, those considering starting limited companies or partnerships have much more to think about. There are a number of important steps you have to take in order to get set up as a legitimate business. In my book, I explain exactly what you have to do. Bookkeeping is absolutely essential when it comes to running a business. Business owners need strong bookkeeping skills if they are to maintain accurate and up-to-date records that can be used to manage the company’s finances. In my small business advice book, I run down exactly what you need to be recording and how to do it. I’ll also offer some insider tips from accounting experts on the best practices of bookkeeping. Tax returns are tricky business and can lead to plenty of anxiety. If you’ve had sleepless nights spent worrying about how to handle your tax returns, my small business advice book is for you. I Can Start Your Business looks at the fundamental problems people face when filing tax returns and breaks down exactly how to solve them. This includes creating estimations of taxable income ahead of tax season, how much you should save and exactly what tax you’ll need to pay. As a business owner, unless you hire an accountant to work on your behalf, you’ll end up getting to know HMRC quite well. The governing body that manages taxation, HMRC is a hardline organisation that requires you to abide by strict rules and regulations. Dealing with HMRC can be intimidating, but in my small business advice book, we’ll look at how to approach and handle Her Majesty’s Revenue and Customs office, as well as deadlines and regulations that you need to follow. Here is another element of business ownership that varies in complexity, depending on the type of business you run. If you run a sole trader company, paying yourself is pretty straightforward. Any income you take in is your direct income, which is then taxed accordingly. However, things are far more complicated for limited companies. Owners of limited companies have a number of avenues through which they can earn a living — chiefly a salary and dividends. The thing is, if utilised properly, you can save a great deal of tax through carefully managing exactly how you pay money out through you limited business. These aren’t loopholes or tax avoidance schemes; just simple and legitimate techniques to cut down on your tax. In my small business advice book, I explain exactly how to do this. Need help starting up your business? Pick up my small business advice book today. Think you’ll need a bit of extra support, though? 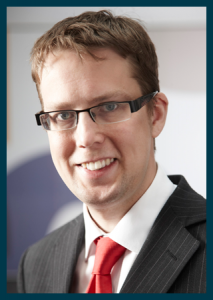 Get in touch with our Accountants in Leeds and we’ll offer all the help you need.